Jazz is an extremely comprehensive range of executive furniture, it even allows you to turn a regular office desk into a reception desk with some panels. One of the benefits of this is you can achieve a uniformal look in a greeting area, into an executive office and then with the matching boardroom tables you can have the same finish in a meeting room. 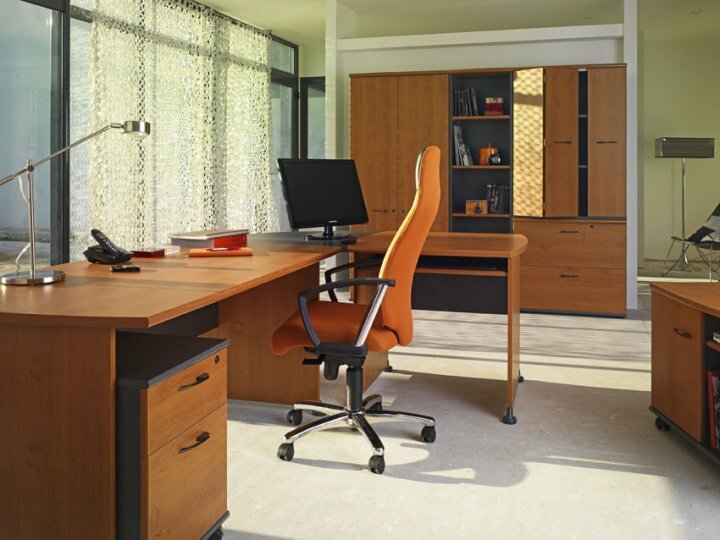 Also in this range is all the storage options you might need to furnish your office. All of these products are made to order on the continent and delivered on a lead time of around 3-4 weeks.